19 January 2018 - Have you ever wondered what lives in your dirt? Researchers are now one step closer to answering this question, with Western Sydney University experts teaming up with researchers from the United States, Spain and UK to compile the world’s first ‘soil atlas’ which tracks the most common types of soil bacteria around the world. 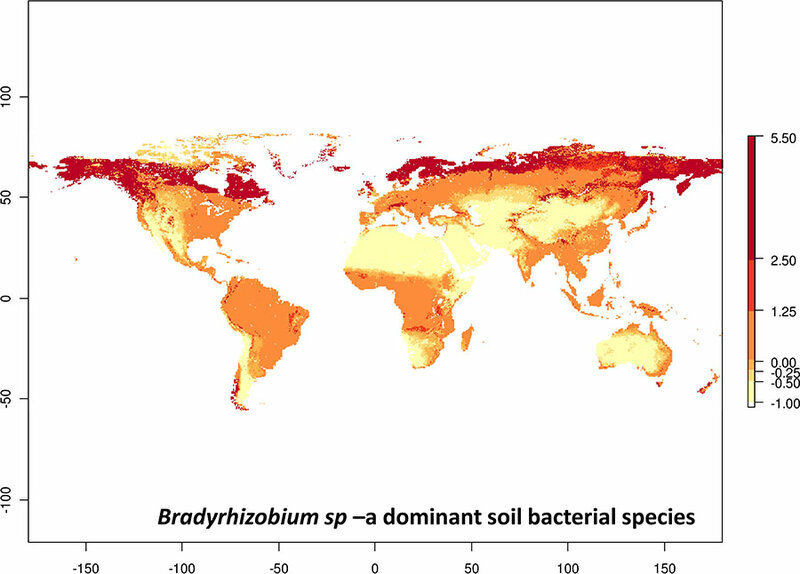 Published in the journal Science (opens in a new window), the research narrows down the incredible diversity of bacteria living in soils from a list of more than 25,000 to just over 500 dominant and abundant species that account for almost half of the soil bacterial communities worldwide. The scientists collected soil samples from 237 different locations across six continents and 18 countries, spanning an entire range of climates from deserts to grasslands to wetlands. Processing the samples through DNA analysis, the researchers not only discovered which soil species were common, but also uncovered new species previously unknown to science. Professor Brajesh Singh, from Western Sydney University’s Hawkesbury Institute for the Environment, says understanding the distribution of soil bacteria is essential as it has a significant impact on our world, including producing food, making use of fertiliser nutrients and restoring native forests. However, despite soil microorganisms being studied for decades, Professor Singh says little was known about their dominance, distribution and functional roles identity until now. “Now that scientists have been able to narrow down the most common bacteria it gives us a starting point from which we can better understand how soil bacteria function in most of the world’s environments – everything from deserts and farmland, to forests and alpine regions,” explains Professor Singh. The research team says further studies could potential lead to agricultural and industrial applications in the future. “Eventually, knowing more about these common bacteria might allow us to better connecting specific soil bacteria species to large-scale ecosystem functions such as carbon cycling, crop and plant production and greenhouse gas emissions, all processes that are fundamentally driven by soil bacteria and other microbial organisms,” says lead author Dr Manuel Delgado-Baquerizo, of University of Colorado Boulder’s Cooperative Institute for Research in Environmental Sciences (CIRES) in the United States and honorary collaborator at the Western Sydney University. Additional co-authors of the new study include Angela Oliverio, Tess Brewer and Noah Fierer of CIRES; Alberto Benavent-González of the Universidad Complutense de Madrid (Spain); David Eldridge of the University of New South Wales (Australia); Richard Bardgett of the University of Manchester (England); and Fernando Maestre of the Universidad Rey Juan Carlos. David Thompson, Research Media and Communications Officer.